More Rum, more fun! Be sure to stop by Rum Island when you visit Columbia County for a great time with the family. In the state founded by pirates, to be named after a favorite drink is a testament to this area's beauty! Open year-round, the weather is sunny and the water is warm. Bring family and friends to come splash around at this unique oasis. 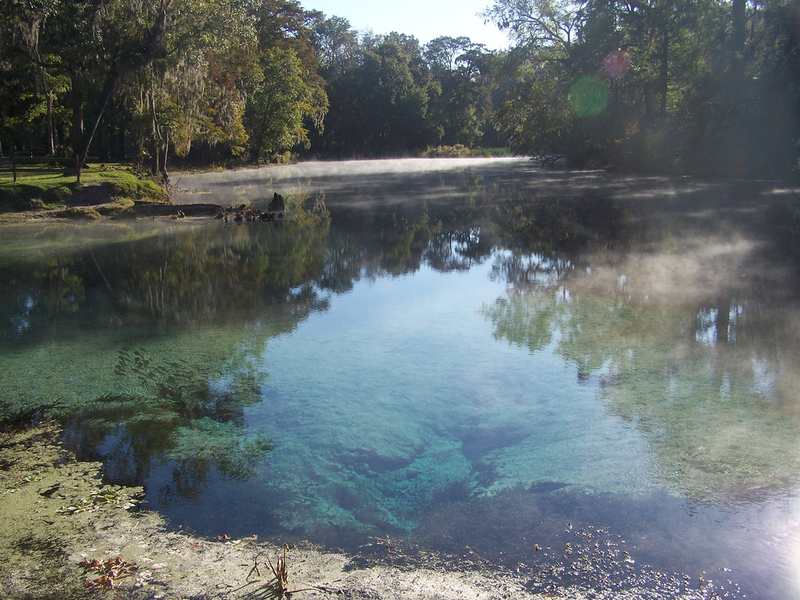 Rum Island Park provides you with free access to the Santa Fe River and the beautiful, clear, freshwater Rum Island spring, one of many springs located on the river. It's your gateway to canoeing, boating, swimming, snorkeling, fishing, sunning and more. The park at Rum Island offers picnic tables and lots of space for the kids to play. The park is open from 8AM until sundown to allow you and your loved ones to enjoy an entire day in the Florida sunshine. RENTALS None onsite, but available at nearby Rum 138.